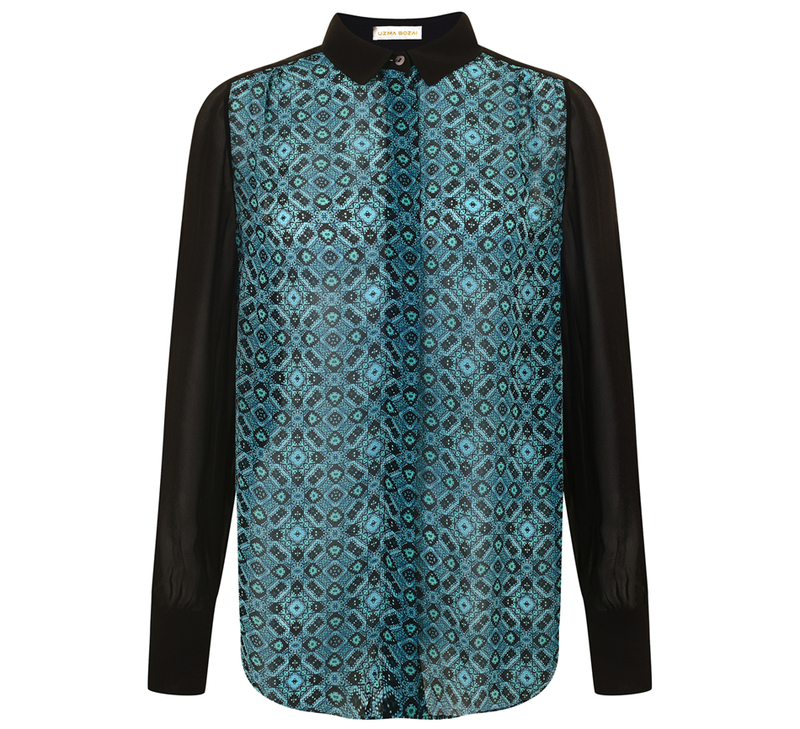 The Farrin Blouse is a smart interplay between classic shirt tailoring and modern print panelling. The body features a kaleidoscope of jewels, whilst the sleeves and collars see a perfectly sheer black georgette. Style this piece with high waisted skirts, or opt for a classic look with tailored trousers.